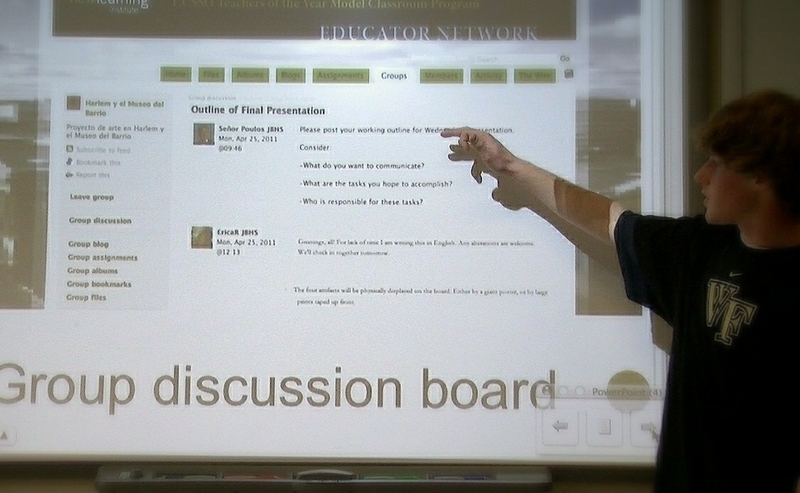 2010-2011 marked the beginning of the Model Classroom. 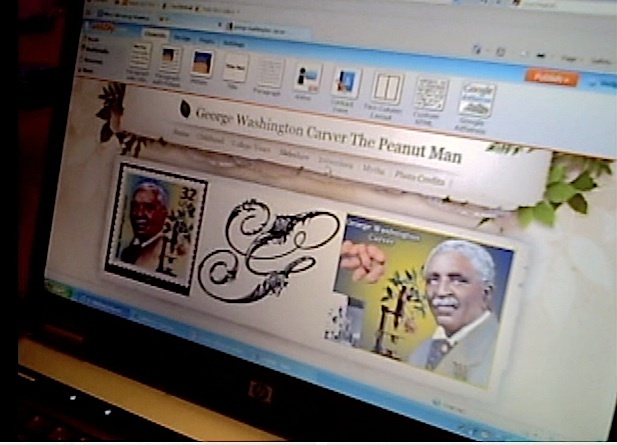 An offshoot of the Mobile Learning Institute at the Smithsonian (MLI-SI) and the 2010 Teacher of the Year workshops, Model Classroom began with the intention of supporting teachers in implementing submitted lesson plans. The first cohort was small, made up of four lead teachers mainly on the East Coast. The early relationship with the Smithsonian and our larger organizational focus on mobile technology resulted in workshops emphasizing museum practices and mobile technology. Submitted lesson plans reflected this confluence. 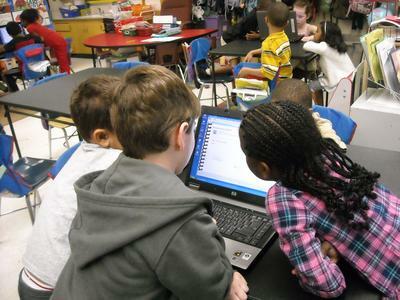 While the initial school year support emphasized educational technology, the first teaching cohort was instrumental in shaping a program based on a practice rooted in the belief that learning can happen anywhere at anytime and that students are most engaged when work has a real purpose and audience. Year One participant Jeanne Muzi reflected “This is the kind of learning teachers dream of, and for me, has literally changed my practice.” Moving past 2010-2011 the workshop and professional development model for Model Classroom was significantly altered to emphasize these larger integrated practices, rather than focus on technology. 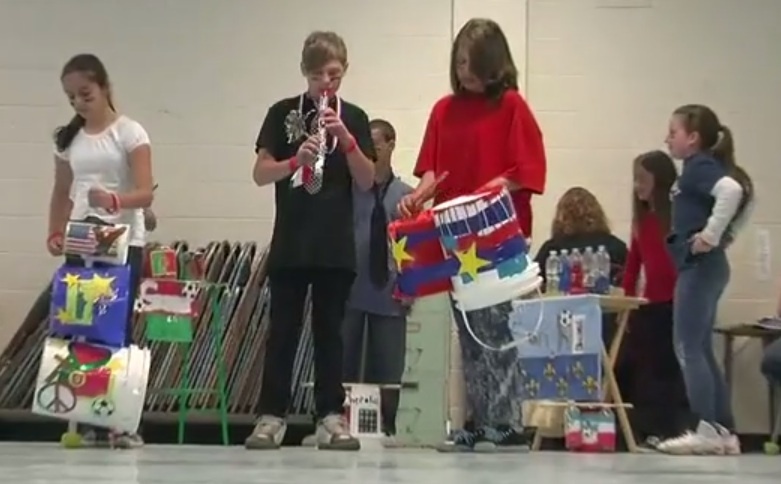 Challenge: Students create instruments from found or recycled objects, then work together to compose a musical ensemble for a public performance. This cross curricular unit began with an investigation of musical instruments from the perspective of function, design, and cultural purpose. After these initial investigations, students took on the role of musical creators by creating their own instruments using found or recycled materials. The instruments' decorative elements reflect students’ cultural interests such as favorite sports and teams, musical artists, movies and books, video games and technology devices. 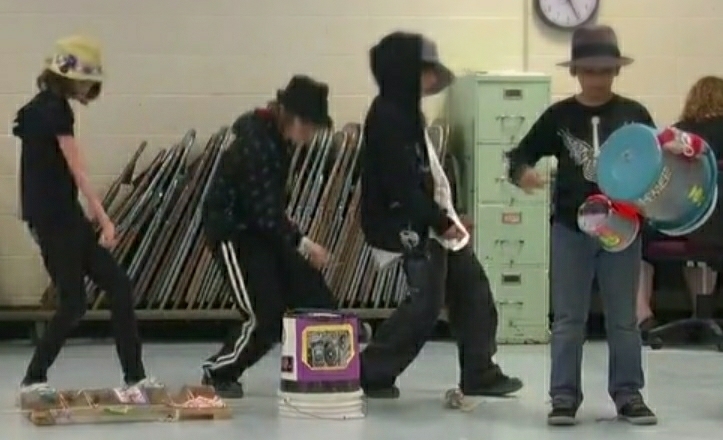 Students worked collaboratively to create and perform in a musical ensemble with their created instruments. Teachers also shared that this project gave students new opportunities to shine. “This project has let students who aren't really the ‘superstars’ shine. It has allowed the ‘quiet’ students to be noticed…and become leaders. In addition they are now motivated to come to school everyday because they know others are depending on them." 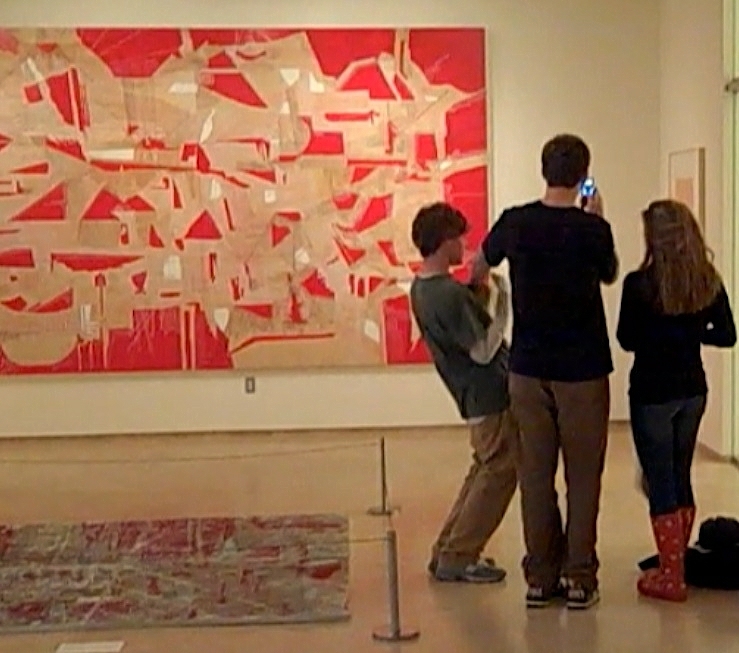 Challenge: Students create a Spanish-language guide for a local museum. How might learning Spanish be made more immersive, real-world and relevant? This project challenged students to apply their Spanish language abilities to a real challenge: creating an interpretive tour that museum visitors could experience both in-person and online. 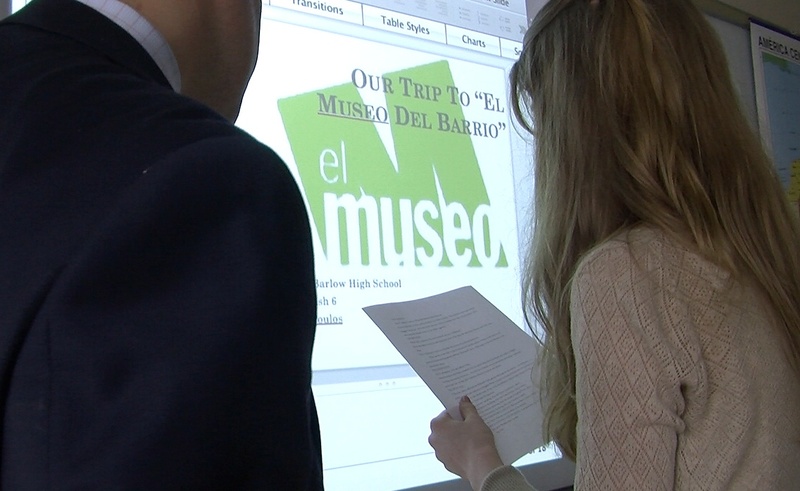 Utilizing local museum resources through El Museo del Barrio, High School teacher Chris Poulos challenged his advanced Spanish students to develop a Spanish language interpretive tour which would allow visitors to experience the museum onsite and online. Students explored the Museo del Barrio collection and analyzed individual art objects. Importantly, the museum was involved in every step of the process and the students were expected to treat El Museo del Barrio as their “client.” El Museo del Barrio staff worked with the students through all project phases, communicating with students prior to their museum visit, working with the students on site, and providing feedback for the students’ final work. 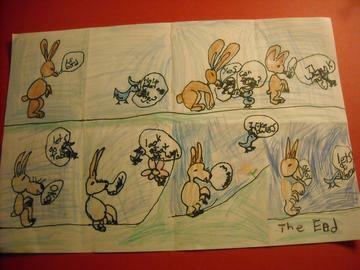 Challenge: First Grade Students give voice to art by creating and producing stories based on animal sculptures. 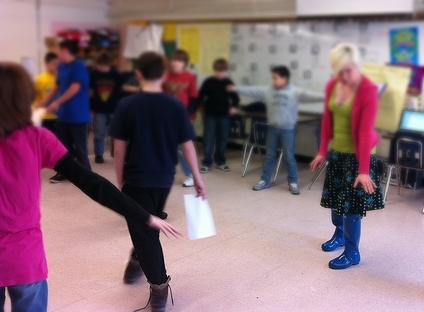 In any story, dialogue plays an important role. Dialogue brings characters to life and makes a story interesting. Learning how to write dialogue correctly takes time, practice and an understanding of why a character talks in a certain way. 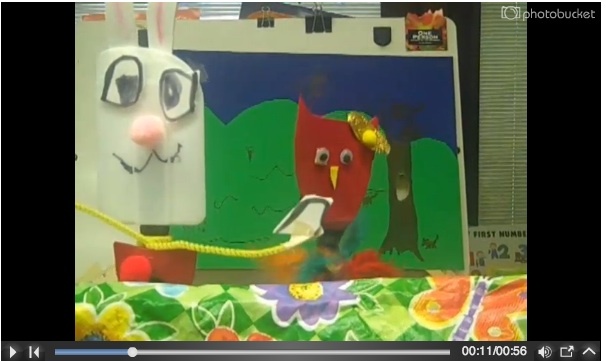 This unit challenged young writers to use their creativity to give voice to animal sculptures. 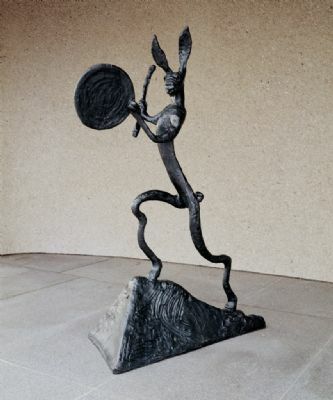 Students began with a virtual field trip to the Hirshhorn Museum Sculpture Garden to analyze three different animal sculptures. Students then worked in groups to brainstorm ideas, craft scripts, plan storyboards and finally, created movies or animations for a culminating Film Festival. Completing this project planted the seeds for Jeanne to implement much larger and impactful projects. During a second summer workshop she wrote a plan for a school-wide environmental action project called "Streamkeepers." After her school principal began a sister school relationship with an elementary school in Taiwan, the opportunity developed for students to share, compare and present their Streamkeeper findings globally. Every first grader works on Streamkeepers by partnering with a local scientist, allowing students take on the role of scientists, ecologists and environmentalists monitoring and tracking information on a nearby stream. 2nd and 3rd grade Streamkeepers alum continue to meet after school. As part of the National Wildlife Federation’s Eco Schools USA Program, Jeanne and her colleagues established a larger program for Benjamin Franklin Elementary, giving every grade level a different focus working towards continued school greening efforts. - Press: New York Times Learning Network. Additionally, the use of digital media introduced tools such as wikis, blogging and video to both students and teachers, resulting in teachers’ increased incorporation of tools for creative learning and as a means of assessment. Digital media enabled families to see student work and provide online support and feedback. 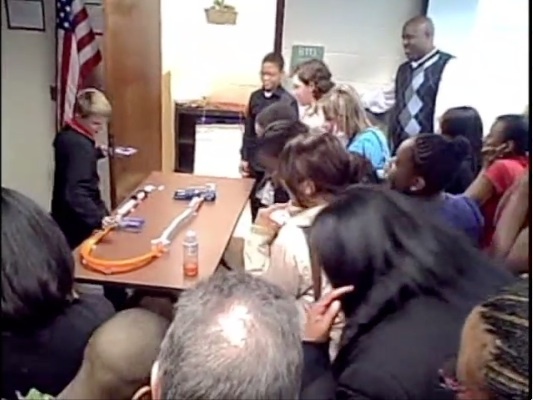 Challenge: Students design their own invention to be shared at an Invention Convention. Imagine. Inspire. Innovate. It has been said that “we stand on the shoulders of giants” creating advances in society as we improve the work of prior innovators. What medical marvels, engineering exemplars or agricultural advances might be fostered if we encourage inquiry? The “Invention Convention” stimulated student curiosity and imagination through investigations into the history of inventions and a hands-on engagement designing their own project. 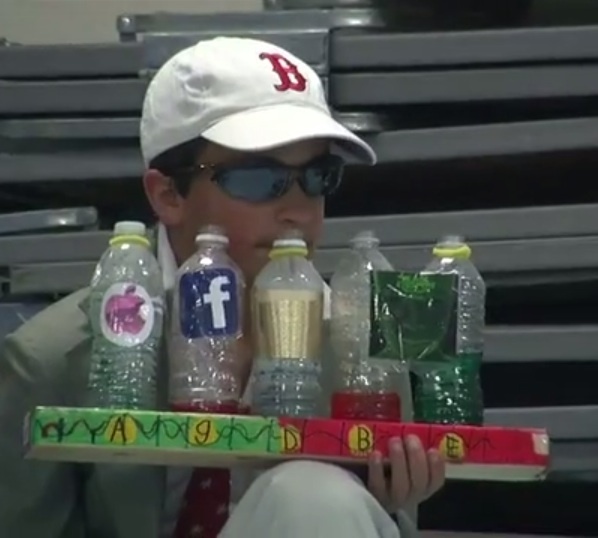 In completing their projects, students selected one of these options: interview an inventor, dissect an invention, document a day sans inventions, or create a working Rube Goldberg-type structure to present as a website or documentary. June continues implementing projects through a special course called “Future Think.” The 2011-2012 school-year introduced a year long Water Initiative Project, a runner-up for the Microsoft Partners in Education award, which got students actively involved in water pollution research and stewardship of Lake Michigan. 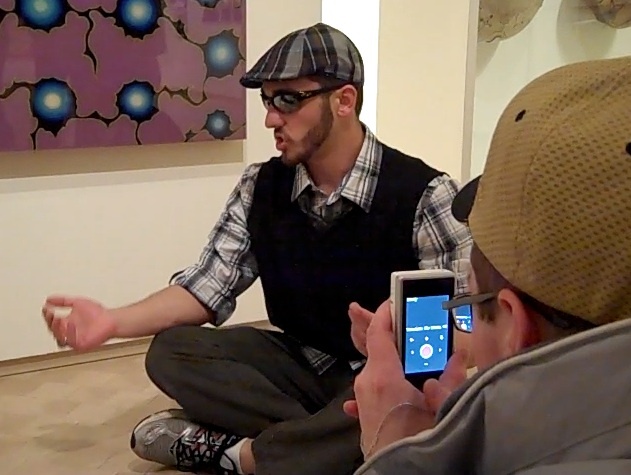 In 2012-2013 June implemented “Detroit 1933-2033” which became the foundation for a 2013 Model Classroom PD at the Detroit Institute of Arts.